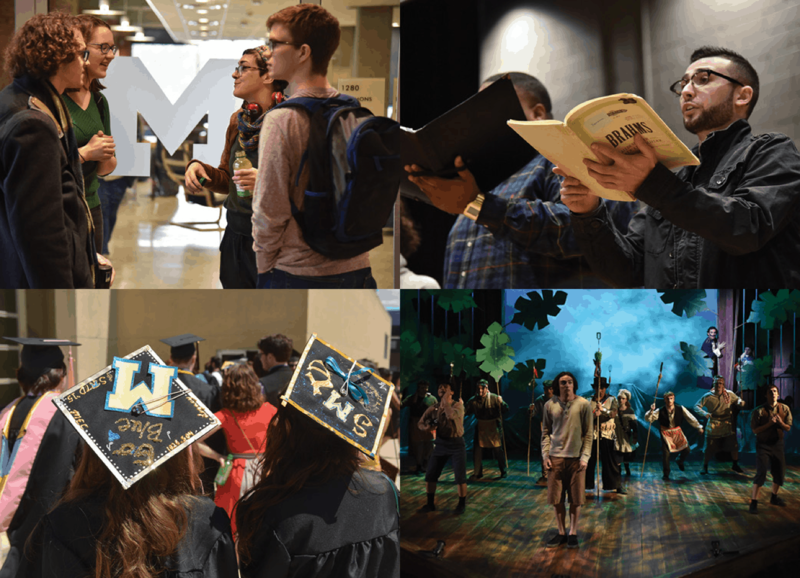 The U-M Program in Creativity and Consciousness Studies is an initiative devoted to theoretical and applied exploration of the nature and development of human creativity and consciousness. Recent years have seen increasing interest in “peak experiences” or “Flow” states as not only episodes of heightened performance but apertures into expanded conceptions of the human being. Many visionaries consider a revolution in consciousness as key to addressing the growing number of challenges facing our world, a proposition that poses exciting ramifications for the educational leadership of our times. Viewing creativity as the exterior manifestation of consciousness growth, PCCS brings together faculty and students from all areas of campus to engage in coursework, lectures, symposia, and research that is centered around this vision. It was a pleasure to see many of you at our Nov 2018 event featuring neuroscientist Julia Mossbridge. Our next event will take place on Wednesday, April 17th and feature U-M’s own Professor Emeritus of Psychology Richard Mann reflecting on his distinguished career and what he sees as future horizons in consciousness studies. Richard has long been involved in cutting-edge ideas and findings that significantly stretch the horizons of much academic consciousness-based inquiry and I have no doubt this will be a truly fascinating and informative evening. This will also give us the opportunity to celebrate his U-M career as it comes to an auspicious close. For those who are new to our program, I believe this is an exciting time for this work and have never felt more optimistic about PCCS emerging as a leading voice in expanding the creative and interior dimensions of the educational enterprise. Consciousness Next! will embark on a bold and provocative exploration of ideas, findings, and educational and societal ramifications that extend from an integral understanding of consciousness. Drawing from age-old spiritual wisdom, cutting edge scientific research and the creative vitality of the arts, the integral framework challenges prevailing materialist views of consciousness and points toward a new view of human nature and developmental potential that could revolutionize the academy and its efforts to address the growing array of challenges that are unique to this moment in human history. A look at the work of organizations such as the Institute of Noetic Sciences, Society for Scientific Exploration, International Society for the Study of Human Ideas on Ultimate Reality and Meaning; Society for Consciousness Studies, and within the Integral Theory community provides a glimpse of this new direction (see Resources & Links for a more complete listing). While there is a clear disconnect between this work and the mainstream academy, I hope PCCS and Consciousness Next! will help bridge the gap. Diversity Next! is a second PCCS initiative that seeks to take the diversity/social justice conversation into areas that are typically overlooked yet are foundational to substantive progress in the all-important quest to broaden the cultural horizons of the academy and beyond. The arts, and particularly improvised musical arts as embodied in black music, is one area. Second involves the consciousness/spirituality domain, which then links back to the PCCS Consciousness Next! initiative. A diversity commitment that is grounded in creative artistic expression and how cultures have fathomed the sacred has the capacity to redefine 21st century academic diversity discourse as well as fuel the creativity/consciousness revolution. 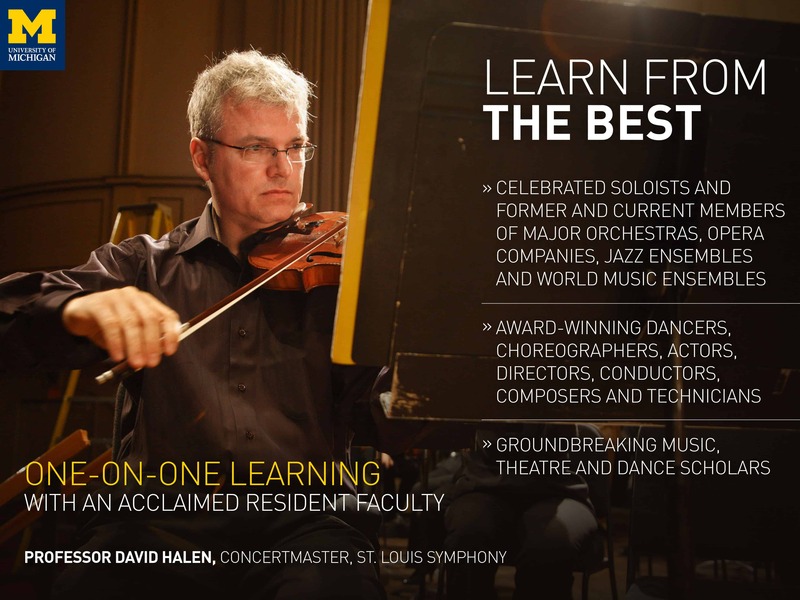 I would like as well to pursue new curricular possibilities, and it is hard to believe that it has been 15 years since the BFA in Jazz and Contemplative Studies degree was instituted in the U-M School of Music, Theatre & Dance. We are long overdue for a cross-campus counterpart to that innovative program! I hope to see many of you at our events! 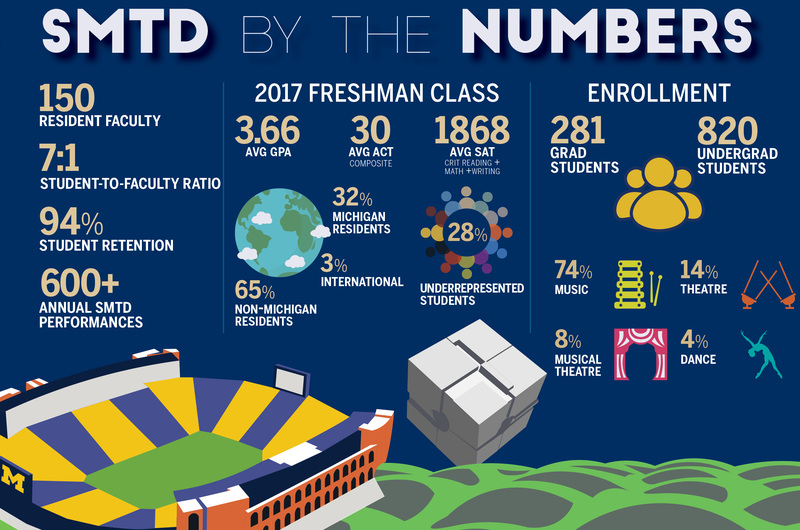 A wide range of coursework is available on the U-M campus that intersects with the terrain of PCCS. Common to much of this coursework is theoretical inquiry into the interior dimensions of human awareness and applied exploration of this realm through contemplative methodologies such as meditation. A burgeoning contemplative studies movement, which is galvanized by organizations such as the Association for Contemplative Mind in Higher Education, suggests that these practices and studies represent the next major wave in higher education. 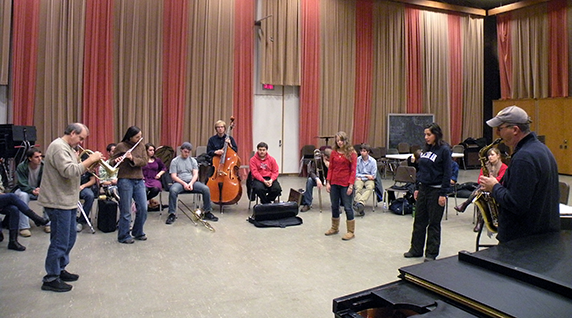 The BFA in Jazz and Contemplative Studies program at U-M, moreover, has been regarded as at the forefront of this new wave in moving from single courses to a full degree program with a significant contemplative studies component. It might be noted that core courses in the curriculum (such as 450 Contemplative Practices Seminar, and 455 Creativity and Consciousness) are open to students from all fields regardless of musical backgrounds. An important aim of PCCS is to design a cross-campus version of the Jazz and Contemplative Studies curriculum that integrates a contemplative component and creativity studies with wide-ranging conventional concentrations. Note: not every course is offered in each term or for credit in every degree. Check your school’s course guide for more information. The PCCS Consciousness Next! initiative examines a wide spectrum of ideas and phenomena that unite cutting-edge scientific perspectives, the creative vitality of the arts, and age-old spiritual wisdom in pursuit of not only a new paradigm for the burgeoning field of consciousness studies, but new horizons of educational and societal practice and policy. A growing number of visionaries regard a revolution in consciousness as key to addressing the wide array of challenges facing humanity. If this revolution is to become a reality in the world at large, it will need to take hold in our educational systems. Consciousness Next! takes a number of bold steps in aspirations to forge new terrain academic consciousness studies and beyond. Consciousness Next! embraces a view of the human being and human development in which cultivation of interior dimensions of consciousness is considered foundational to the educational mission. An emergent consciousness-based worldview called Integral Theory, predicated on the spirituality-art-science interplay, provides the basis for a new educational paradigm. The age-old precept that consciousness is primary in the broader creation is also a key integral premise that is placed front and center in terms of its educational and broader ramifications. Engagement with diverse epistemologies, or ways of knowing, being and creative and spiritual expression, is central to the integral paradigm. [i] Meditation and related contemplative disciplines, including embodied, nature-based and artistic practices, are as vital to a viable 21st century education as the most rigorous modes of intellectual and analytical inquiry in the humanities and sciences. This principle applies to not only creativity and consciousness development, but research as well. Direct experience of pure consciousness[ii] as uniquely invoked in meditation and the moment-to-moment creative turbulence—often accompanied by peak experience, or flow—that is characteristic of improvisation in jazz and across disciplines [iii] are just as essential to understanding consciousness as theoretical, philosophical and neurobiological approaches. Consciousness Next! promotes the best of all worlds, combining robust and wide-ranging consciousness-based epistemologies with the analytical rigor for which the academy excels. Consciousness Next! takes a strong stance on the shortcomings of materialist conceptions of consciousness. In defining consciousness as reducible, or even epiphenomenal to a physical substrate, the materialist worldview perpetuates a narrow conception of human nature and development that is wholly inadequate to the needs of today’s world. While a gradual retreat from strict reductionism toward a more moderate materialist perspective seems to be evident, the so-called “hard problem of consciousness”[iv]—the question of how conscious experience might emerge from physical reality—looms ever large in materialist circles and strongly suggests. The fact that materialism not only runs counter to most individuals’ experience and intuition, and as examined below from a social justice standpoint, age-old wisdom from cultures across the globe only strengthens the case against materialism and points in the direction of an integral understanding of consciousness. It goes without saying that the possibility of physically transcendent, nonlocal and intersubjective dimensions of consciousness stretches the boundaries of ordinary academic discourse when it comes to the nature of the human being, human potential, and what constitutes valid academic research. Consciousness Next! critically examines the resistance to these findings and ideas in the academy through the lens of paradigmatic change in the sciences and a range of disciplines. [vi] Indeed, when one considers the above possibilities in the context of the mission statements of most academic institutions, which typically proclaim a commitment to a broader vision of human development, questions about what paradigm—the materialist or the integral—are arguably turned on their head. Happily, even a cursory look at the leadership and membership of organizations such as the International Consciousness Research Laboratory, Society for Scientific Exploration, Scientific and Medical Network, World Institute for Scientific Exploration, Institute for Noetic Sciences, Society for Consciousness Studies, Institute for Frontier Areas of Psychology and Mental Health, and Fetzer Institute provides reason for optimism that a consciousness-driven scientific revolution of historical significance may not be far off. Consciousness Next! has begun to establish ties with these and other organizations in order to render U-M a leading site for this kind of innovation. While humanity has amassed unprecedented information about the outer world, this has developed along with unprecedented challenges to the future of civilization as we know it. A growing body of visionaries views a revolution in human consciousness—which from an integral standpoint entails understanding and enlivenment of the interior creative and spiritual dimensions of the human being—as key to humanity addressing these challenges and taking its next evolutionary strides. An integral revolution in creativity and consciousness yields unifying ground that, in a single stroke, radically redefines the educational mission and renders the academy a site for global healing along multiple fronts. While domain-specific interventions will always be needed to address the various crises of the world, a creativity-consciousness revolution grounds these interventions in a vastly expanded conception of the human being and human potential and new kinds of relationship between individuals, their environment, and cosmic wholeness. The Consciousness Next! series begins with an inaugural lecture by neuroscientist and futurist Julia Mossbridge, PhD, on Premonition. 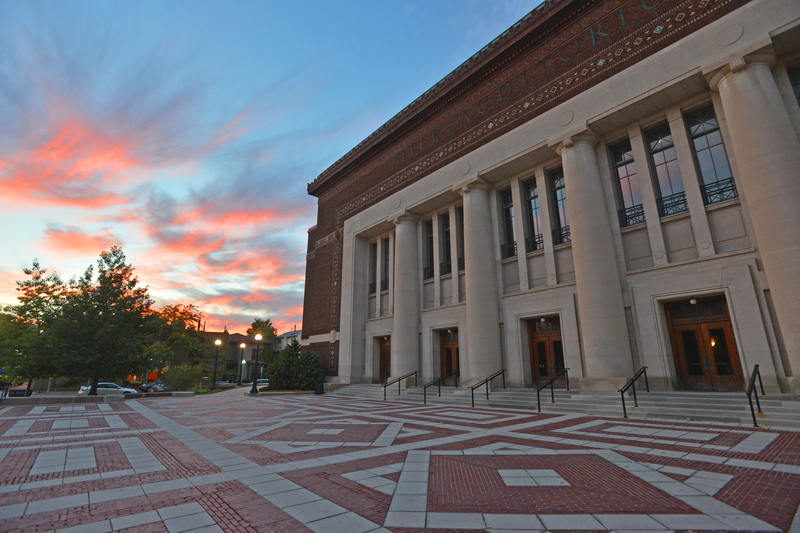 The talk is on Monday, November 5, at Rackham Ampitheatre (fourth floor), at 7pm. Admission free. [i] See Ken Wilber, “Introduction to Integral Theory,” Journal of Integral Theory and Practice, vol 1/1, 1-40. 2006. “Integral Psychology.” Collected Works. Vol. 4. Boston: Shambhala, 2000. [ii] Charles Alexander and Ellen Langer, Higher Stages of Human Development (New York: Oxford, 1990) provides significant commentary on pure consciousness. Here is where burgeoning consciousness studies and contemplative studies movements could benefit from joining forces. If prevailing distinctions between the two emergent academic fields might be not unreasonably generalized: Contemplative Studies favors epistemology yet remains ambivalent about ontology; consciousness studies—emphasizing the what (ontology) of consciousness but ambivalent about the lens of investigation (epistemology)—succumbs to the reverse. 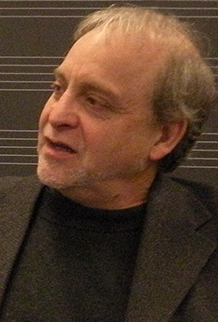 See Ed Sarath, Improvisation, Creativity and Consciousness (Albany: SUNY 2013). [iii] Practitioners in domains as disparate as business, medicine, education, sociology, law and sports have looked to jazz’s improvsitory foundations for inspiration and guidance for expert practice and innovation in their areas. [iv] Materialism may be roughly defined in terms of two perspectives. One is the view of consciousness as reducible to a physical substrate, the second—which is a more moderate form of materialist thinking—is the assumption that consciousness is epiphenomenal to, hence a byproduct of, that substrate. However, the elusive nature of the hard problem suggests the need for foundational reexamination of the entire materialist enterprise. See David J. Chalmers, 1996, The Conscious Mind: In Search of a Fundamental Theory (New York: Oxford University Press), and “The Singularity: A Philosophical Analysis.” Journal of Consciousness Studies 17: 7–65, 2002. In a recent Ted talk, Chalmers reluctantly confesses to what might be an inevitable trajectory for contemporary philosophers of mind: materialism to dualism to panpsychism to idealism (compatible with the integral view). [v] Imants Baruss and Julia Mossbridge, Transcendent Mind (American Psychological Association), 2017; Kelly, Edward F.; Kelly, Emily W.; Crabtree, Adam; Gauld, Alan; Grosso, Michael; and Greyson, Bruce. 2007. Irreducible Mind: Toward a Psychology for the 21st Century. (Lanham, MD: Rowman and Littlefield) 2007; Dean Radin, 2006. Entangled Minds: Extrasensory Experiences in Quantum Reality. New York: Paraview Pocket Books, 2006. Charles Tart, The End of Materialism: How Evidence of the Paranormal Is Bringing Science and Spirit Together. Oakland, CA: New Harbinger. 2009. Larry Dossey, 2013, One Mind: How Our Individual Mind Is Part of a Greater Consciousness and Why It Matters (Carlsbad, CA: Hay House). [vi] The point is not that every single one of these studies in itself constitutes unassailable evidence against materialism and for an integral worldview, nor that there is no place for further research. Rather, that the sheer scope of this research at this point in time at the very least warrants a kind of fair consideration in the academy that has not—due to fear, intellectual provincialism and bias, and perhaps stilted imaginative capacities—been seen on any significant scale. It might also be added that Consciousness Next! does not categorically reject (perhaps as a form of reverse hegemony) appeals for retention of a materialist worldview as research and educational template. Nor does it render immunity to alternatives to materialism. Rather, it redirects the onus within the What is Consciousness? conversation. Whereas the burden of justification has fallen on the shoulders of integralists and other non-materialists, now it falls on the shoulders of materialists to advocate their worldview against an integral backdrop that is itself subject to ongoing critical interrogation. [viii] See Ed Sarath, Black Music Matters (Lanham: Rowman and Littlefield, 2018) for commentary on the ramifications that extend from understanding of consciousness to a range of these issues, including social justice, environmental justice and peace. Materialism is part of a limited epistemic matrix that fuels racialized hegemony, disconnection from ecological surroundings, and societal and international conflict. Diversity Next! in an initiative of the Program in Creativity and Consciousness Studies that seeks to broaden the horizons of diversity deliberations on the U-M campus through the lens of the arts, consciousness/spirituality, and further areas that are not commonly tied to the diversity/social justice conversation. Arts, creativity and consciousness extend the epistemological and cultural scope and help individuals and communities critically interrogate and liberate from conditioned assumptions and behavior that often impede efforts toward social justice and inclusive communities. This invites new perspectives on familiar topics and also helps place front and center areas that may elude conventional diversity discourse altogether. As discussed below, Diversity Next! intersects with the PCCS Consciousness Next! Following are a few of the potential themes that might be explored in the Diversity Next! series. While prominent in not only American musical culture but much global syncretism, African American music remains marginalized in the vast majority of music curricula across the nation—a disparity whose ramifications extend far beyond the training of musicians to society at large. The fact that this goes largely unrecognized in diversity conversations within and beyond music studies is particularly conspicuous given the highly charged black-white racial dynamics that riddle our nation. Diversity Next! will critically interrogate this oversight within a celebration of the powerful tools that African American music offers 21st century musical navigation as well as American cultural unity, identity, and healing. Artists often think of their work in terms of a spirituality that transcends (though does not necessarily reject) denominational borders, yet tend to repress this aspect of their work and being—let alone the diversity-spirituality connection—when they set foot in the academy. Indeed, in most cultures, artistic creativity and spirituality are inextricably linked; substantive inquiry into one realm is not possible without significant consideration of the other. Spirituality is thus the connecting link between Diversity Next! and Consciousness Next! Restoring this connection to diversity discourse not only deepens the conversation by recognizing interior dimensions of diversity awareness and growth, it also renders the conversation more inclusive in expanding the spectrum of cultural and other (gender, sexual orientation, philosophical, etc—for all of which corresponding spiritual perspectives may be identified) entryways that may enter into the conversation. While there is no denying that spiritual concerns pose challenges in not only conventional academic discourse but also in diversity circles; burgeoning contemplative and studies movements in higher education, with no dearth of literature and symposia and curricular initiatives, provide precedent and models for engaging in this area in systematic and rigorous ways. Connections to social justice are also taking hold in contemplative/consciousness studies conversations and research. While the close relationship between ecological and social justice crises steadily attract attention, this remains a neglected area in diversity discourse. The art and consciousness connection brings multiple perspectives to this issue. One involves the importance of the arts to cultural sustainability and the sense of identity that empowers individuals to not only uncover their own unique gifts, but also to maintain healthy relationships with others and the physical world. Second involves what robust creative underpinnings of the arts informs these relationships. For example, black music, linking back to the prior theme, provides a model for what might be called “improvisatory ecologies” and “improvisatory hermeneutics” (Sarath 2013, 2016) whereby individuals engage with their social and physical surroundings from the standpoint of the dynamic interplay central to the creative music environment, and critically reflect on the meaning and integrity of these relationships. PCCS is comprised of a wide range of scholars-practitioners involved in many areas related to creativity and consciousness studies. 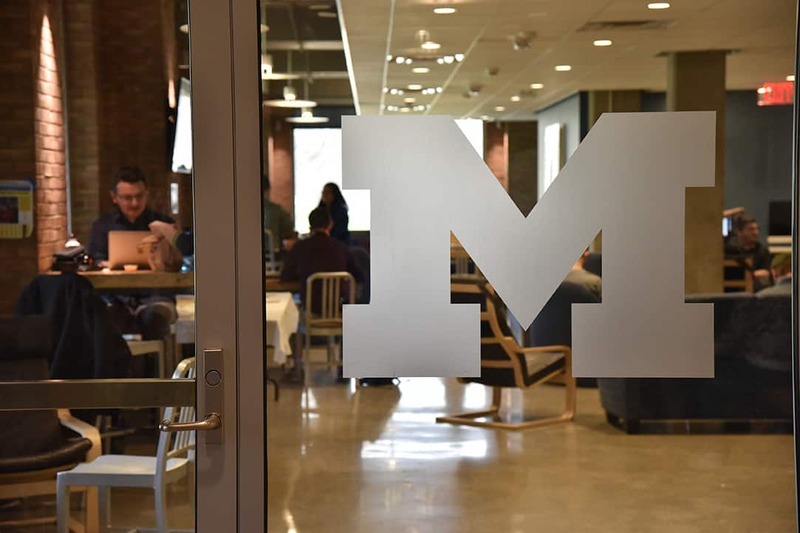 As the list of Affiliated Faculty indicates, the field connects with virtually every area of campus, and as interest in the interior dimensions that underlie all disciplines grows, we anticipate that faculty and student involvement will expand considerably. While the focus for some colleagues is on innovative pedagogical approaches, for others cutting-edge theoretical and quantitative research, and still others direct exploration of the terrain through creative and contemplative engagement, it is the uniting of all these areas that will define the leadership in this emergent academic field. PCCS is guided by this integrative vision. Julia Mossbridge, PhD, Neuroscience, Visiting Fellow, Northwestern University School of Medicine. Researcher, Institute of Noetic Sciences. PCCS is at the forefront of a rapidly growing wave of activity that is expanding the horizons of academic learning, teaching, and research in an interior direction. Dr. Robert H. Schneider, M.D. For more information about PCCS, contact Prof. Ed Sarath.